Our Fantastic Friend Necklace Giftbox is the perfect gift for any occasion. 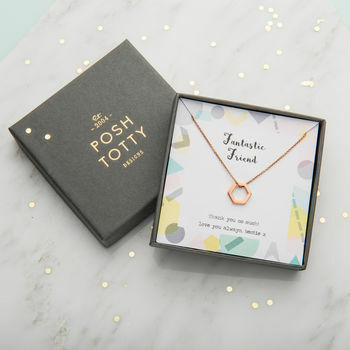 Hand crafted from the finest sterling silver with the option for 18ct rose gold or yellow gold plating, the necklace is presented in a beautiful giftbox which is personalised with your own unique message. 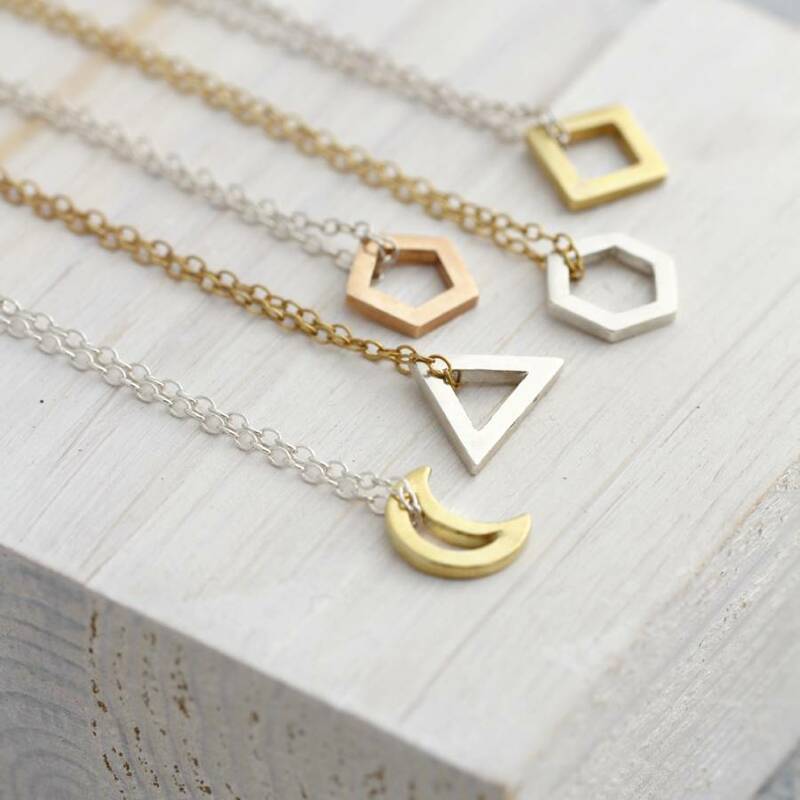 Choose from a number of different pendants, from our classic circle to geometric shapes, or our pretty new crescent moon design. 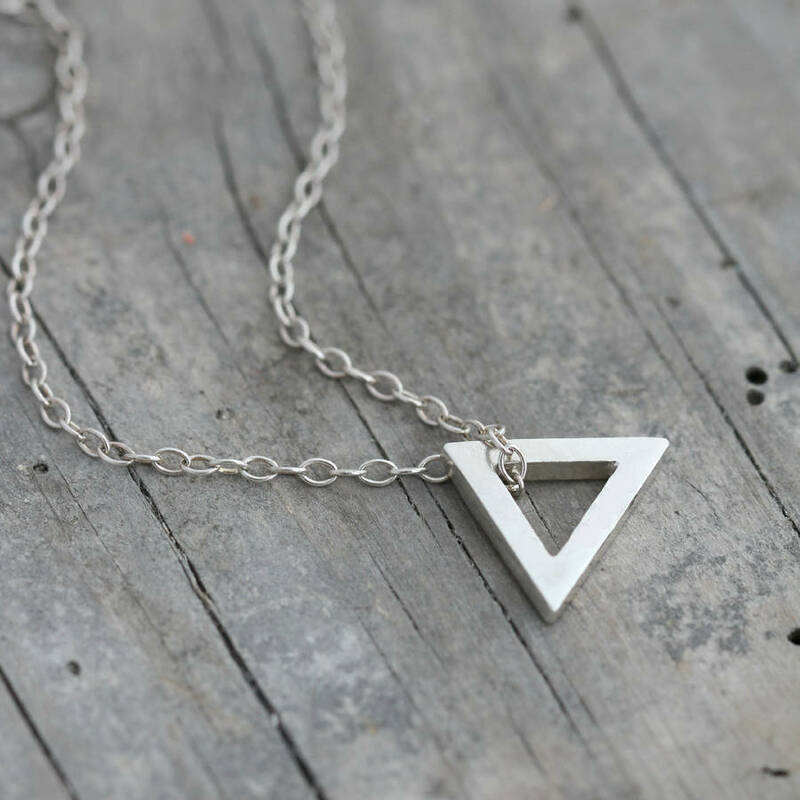 The necklace is available in 925 sterling silver,18 ct rose or yellow gold plate. 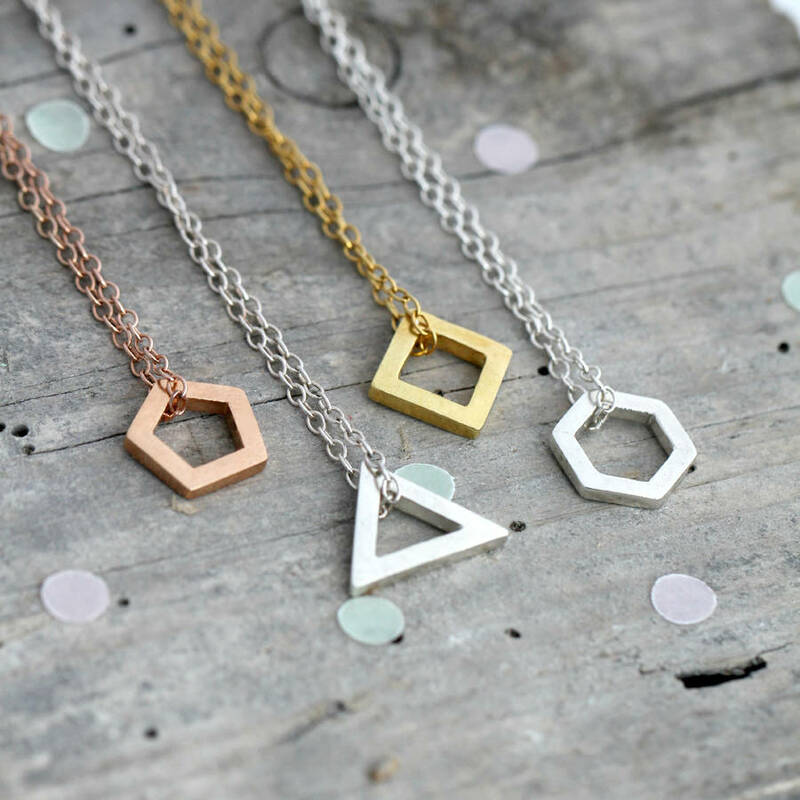 We do advise that gold plating/rose gold plating is a finish and this can wear away over time. It can be affected by elements such as exposure to water, heat, chlorine. Chemicals found in body products/perfumes etc. and different skin types. We are happy to re-plate items that have the gold plating worn away within the first 3 months of purchasing however beyond this time there is a £20 re-plating charge.